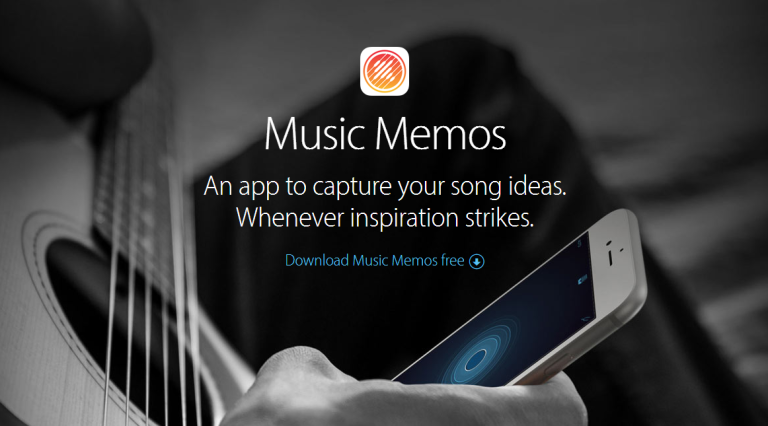 Apple has released a new app - Music Memos for iOS. The idea is that musicians can use it to record ideas for new music and then use the basic recording to develop further. Apple even got serial happy-merchant Ryan Adams to comment on the new app, which will be available for free in the App Store. “Sometimes ideas come faster than I can get them into my notebook so I've used Voice Memos and Notes to quickly capture songs before they're lost. Music Memos is like if those two apps came together to form some kind of superpower for songs,” said Adams. With Music Memos, you can record any musical instrument as uncompressed audio through the iPhone's built-in microphone then name, tag and rate it to start building a library of your ideas. According to Apple, the app can analyse rhythm and chords of acoustic guitar and piano recordings, and instantly add drums and a bass line to match the feel of your song. Music Memos can even provide basic notation that displays the chords played. You can then open the Memos in other apps via iCloud. A new update to GarageBandboasts a bunch of new features, including Live Loops that enables anyone to "make music like a DJ using only their iPhone or iPad".